The Logitech G brand of gaming hardware and peripherals have been a mainstay in my life for decades now. 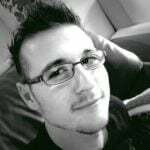 I fondly remember getting my first Logitech G19 keyboard, followed by a Logitech MX518 in 2005. Since then, I have upgraded to the Logitech G502 Proteus Core mouse, and Logitech G13 one-handed keyboard, and G413 tenkeyless keyboard. However, even with the various other Logitech hardware that I have accrued, I never thought of getting and using Logitech G’s headsets. The main reason for this is because I did not like the pre-2017 design. That all changed in 2017 when I reviewed the Logitech G433, and in 2018 when I reviewed the G Pro. Both of those headsets are Logitech G’s mid-range offerings, but incredible in both build and audio output. I have now been given the Logitech G935 for review. Can this enthusiast headset, with its age-old design, top Logitech’s other offerings? In this Vamers Logitech G935 Review, I detail how it just misses the mark. 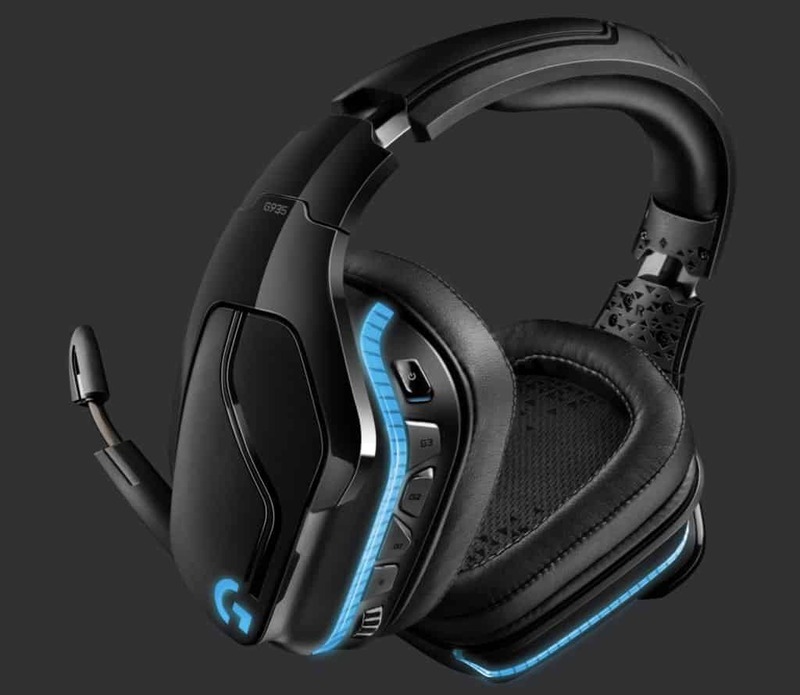 The first thing you will undoubtedly notice about the Logitech G935 is its uncanny resemblance to headsets of yesteryear. In particular, it takes a lot of cues from the Logitech G933 Artemis Spectrum, with slight adjustments here and there to make it different. This means that, for all intent and purpose, it is just an upgraded version of Logitech G’s 2015 design: it still has the huge cups that house large drivers, programmable G-keys, a volume rocker, and a sturdy plastic build. Visually, the only differences between the G933 and the G935 are the embellishments on top of the cups, and around the headband. The headset features fewer “sporty lines” and a lot more solid plastic. 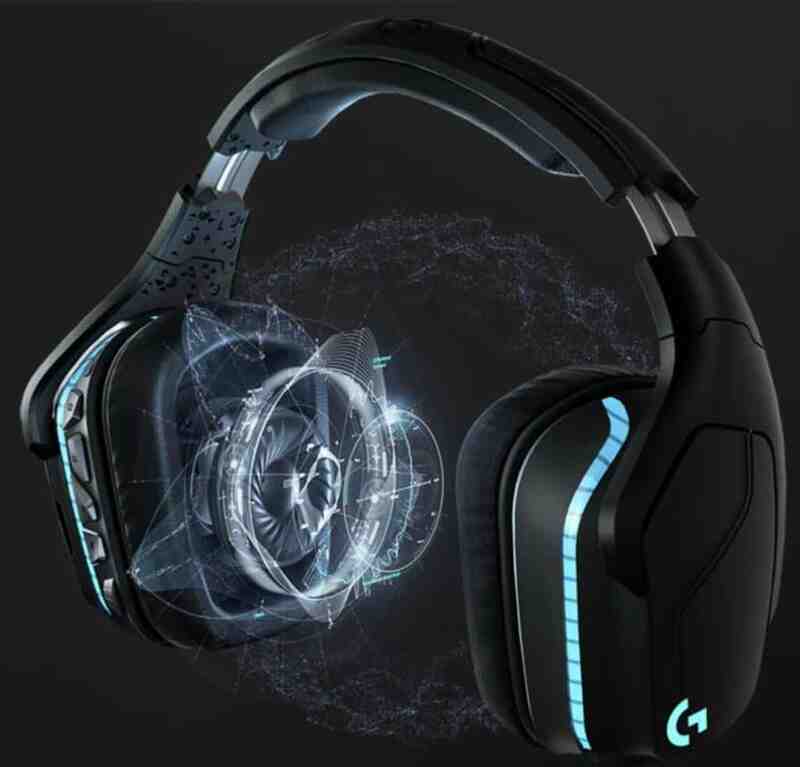 Logitech G seems to have taken a few cues from the headsets that it released, namely the Logitech G332 and G432, and by extension, the headsets that came before those. With that said, I must commend the headset for feeling remarkably sturdy, even under pressure. As a result, it does not make the same horrible cracking noise the G933 used to make when bent, which is a huge plus. However, with sturdiness comes bulk, and it seems that Logitech G did not care to cut any of the bulk away when they designed this headset. It is large! The design of the earcups is nothing short of unorthodox. They are huge compared to most of the headsets on the market, with big rectangular spaces for your ears. The nice thing about this is that there is more than enough space for your ears. This means that they sit nicely over the ears on all sides, and keeps them from being squished – a common negative about both the G432, and G332. 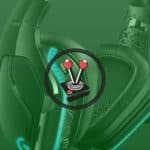 The earcups also feature a comfortable polyurethane design that keeps your ears cool and comfortable during gameplay. As nice as it was, however, I would have preferred it if this headset also came with a choice of cushions as the G433 does. Sometimes all you need is mesh to keep your ears from getting uncomfortably hot. Besides how big it is, the actual design for both in the cups and around them is exactly the same as with the G933 Artemis Spectrum. The inner cup is covered with a material design embellished with little triangles, while the left cup features three programmable G-keys, an on/off switch, a mute button, and a volume rocker on the outside. The right earcup is void of any buttons. Both cups feature a thin LED strip that wraps around the back of the cups. The insides of each cup also have a few surprises. The left ear houses the USB dongle that you plug into your computer for wireless functionality. The right ear houses the headset battery – a dainty little thing that could easily have been upsized since it was introduced in the G933. It is so small, in fact, that I found myself having to charge the headset more often than I would like. In total, I had to charge the headset three times over the seven days that I used it. Logitech claims that it will last around 12 hours, I believe that I got around six before the battery indicator turned red within their proprietary G Hub software. This relatively short battery life could also be attributed to the LED draining the life out of it, but where Logitech G claims that it can perform upwards of 8 hours on the default LED settings, I still only got around six to seven hours out of it. On the other hand, the relatively short battery life could be attributed to the exceptional audio quality of the headset, which is powered by a set of brand-new drivers. 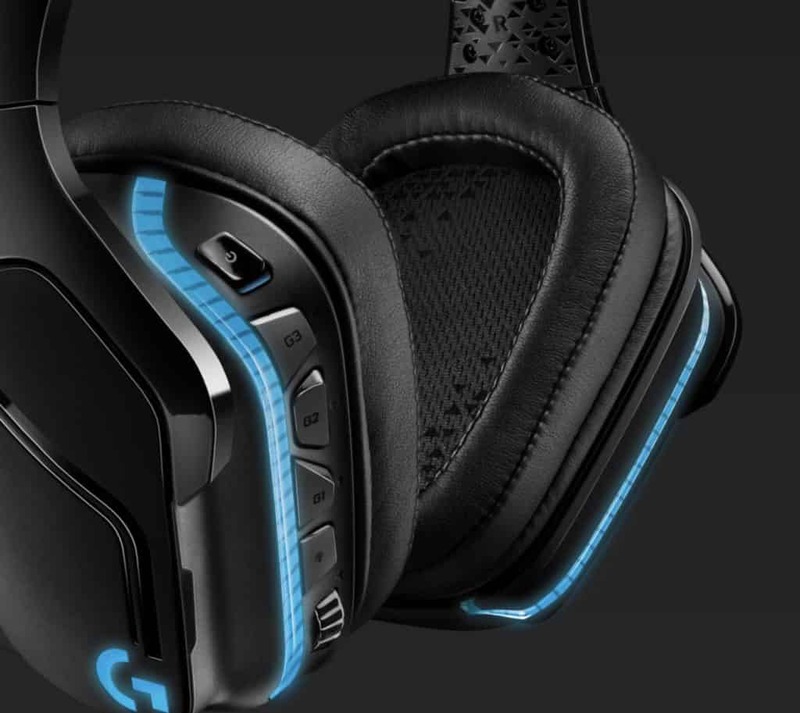 The Logitech G935’s “upgraded Pro-G” drivers are as robust as they sound. Both earcups feature 50mm drivers, which are constructed with a woven hybrid mesh. Logitech states that the design allows for greater sonic detail, depth, and clarity. I wholeheartedly agree. 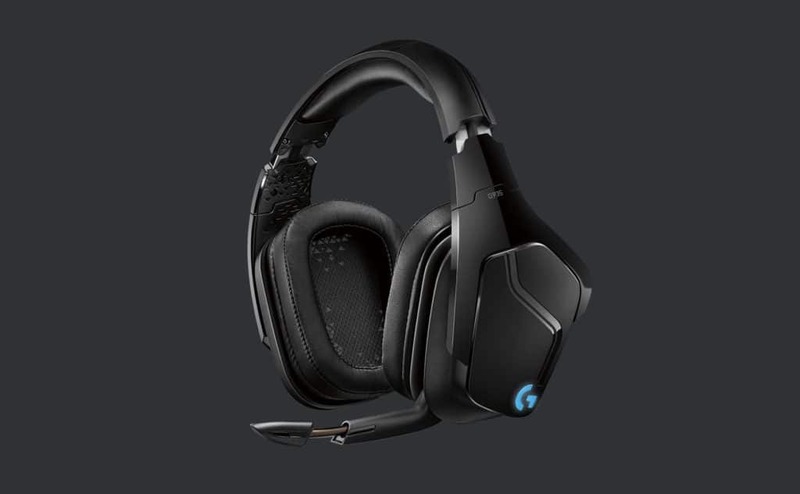 The Logitech G935 performs better than any other gaming focused headset that I have had the pleasure of listening to. The headset is not only a delight to listen to in terms of gaming and surround sound virtualisation, but also exceptional when it comes to music and entertainment. While the Logitech G935 comes nowhere close to the Sony WH-1000XM3 in terms of noise cancellation, it does an amicable job of getting close to its delivery. There is a certain kind of impact that you always listen for when you first equip a proper gaming headset, and the G935 delivers without fault. Gaming on the headset is a dream. 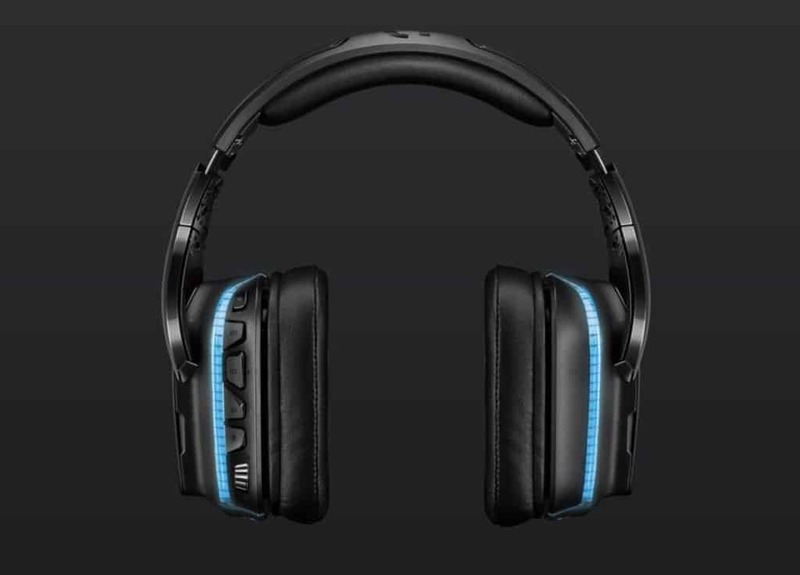 The comfortable cushions, along with the beautiful audio output, helps to enhance the gaming experience whether on the console or personal computer. The headset connects wirelessly to a USB dongle and features a 3.5mm jack when you want it connected to a wire. The audio throughput that it delivers is exceptional, regardless of means of connection, and the platform it is on. During my time with the headset, I used it on both mobile and console with the included 3.5mm to 3.5mm cable, and on PC with the USB dongle for wireless connectivity and a USB 2.0 to Micro-USB connection whenever I needed to charge. On Xbox One, Microsoft offers any connected headset (via 3.5mm) the ability to enjoy software-based virtualisation called Windows Sonic. Dolby also offers their own flavour on virtualisation called Dolby Atmos. Both options deliver outstanding stereo to 7.1 virtualisation on a console. On PC, however, the headset thrives. While you can use the headset with the same auxiliary cable that you use on mobile and console, there is no denying that the USB dongle, used along with Logitech’s proprietary gaming software, Logitech G Hub, unlocks its full potential. As a side note, I must mention that the USB dongle seems to work on console – specifically, the PlayStation 4. This is both surprising and incredibly intriguing. The mere fact that it works on Sony‘s console means that future support might be imminent. It also doubles up on the convenience factor. I must admit that I am kind of bummed that it does not work on my console of choice, the Xbox One, but since it is not advertised to, I will merely mark this one up as a happy coincidence. 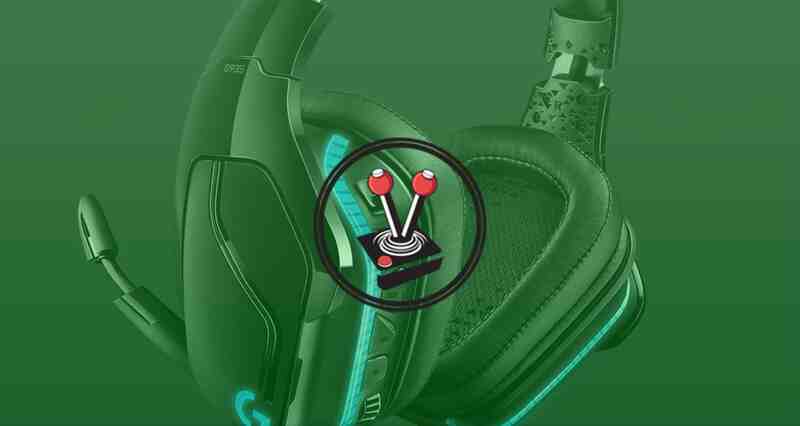 Connectivity aside, the Logitech G935 boasts exceptional virtualisation by way of Dolby’s DTS Headphone:X 2.0. 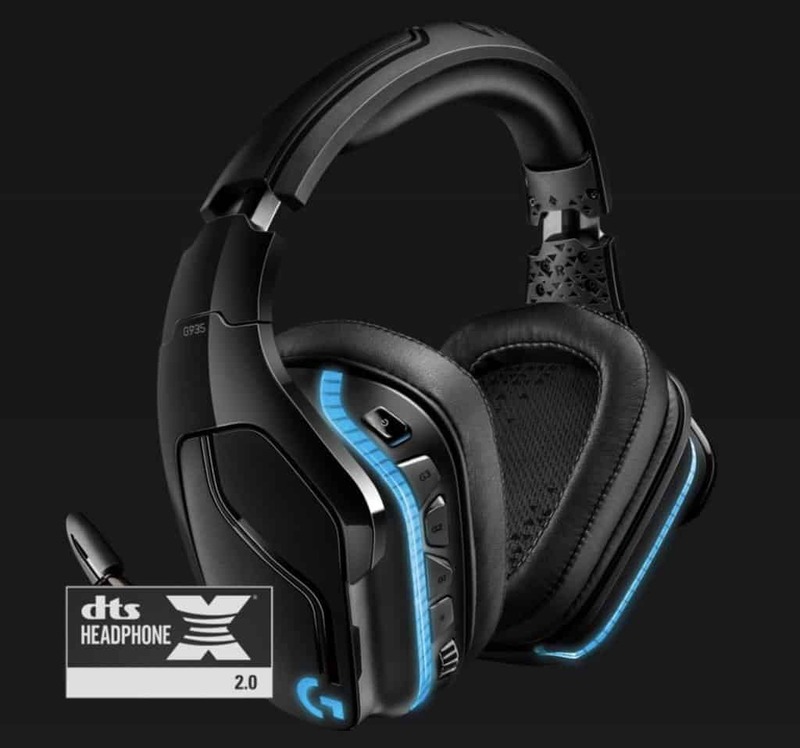 While it effectively sounds the same as DTS Headphone:X on most headsets, the Logitech G935 is tuned specifically for Dolby’s audio mix. This means that it delivers greater precision than normal 7.1 surround sound, an accurate in-game spatial awareness, and absolute clarity when watching movies that use the proper codecs. 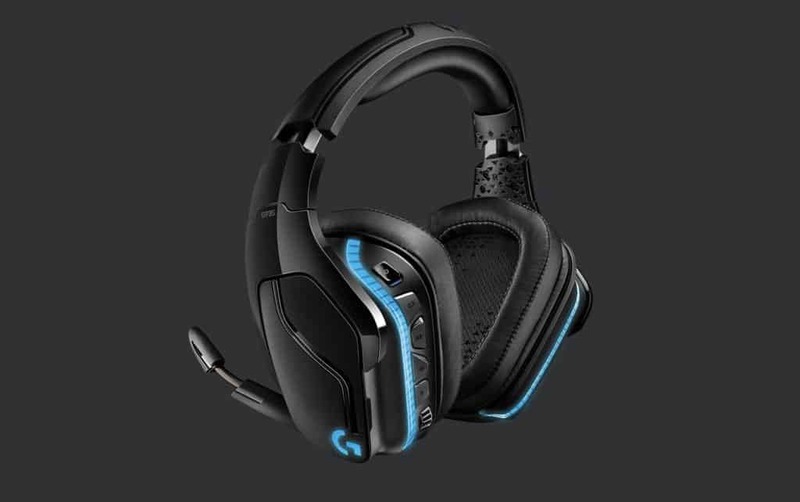 You can also fine tune your own experience with the headset through Logitech G Hub. 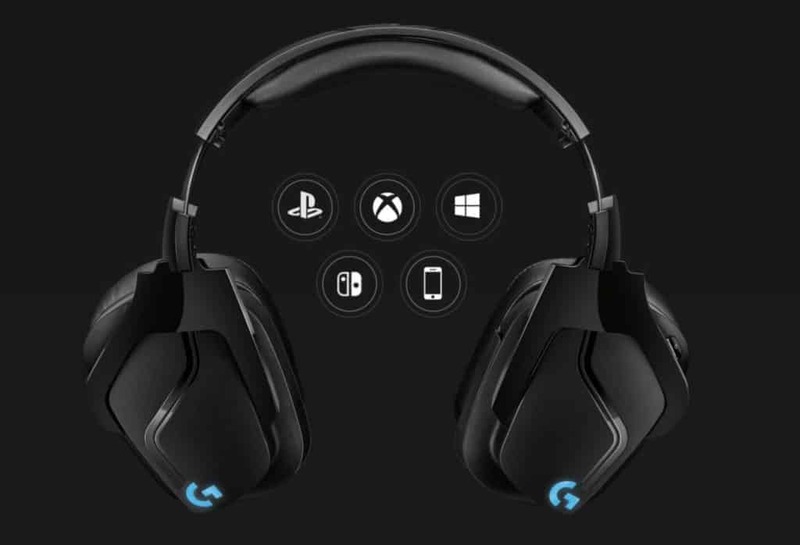 G Hub is a downloadable first-party tool that you can use to sync the headset’s RGB lighting to other Logitech products, fine-tune listening experiences, check the headset battery, change the G-Key assignments, and even create per-game audio profiles that also sync with the profiles used by other Logitech hardware. The app also lets you choose whether you want Surround Sound virtualisation or not. When activated, G Hub will change the graphic to a little screen where you can set the volume of each individual direction to your liking. Keeping these at maximum will deliver the best experience, since modern games have their own mixes that take advantage of DTS Headphone:X devices. Macros are not normally something you would expect from a headset review. However, similar to how you can fine-tune the sound via G Hub, you can also program and change the G-keys that come installed on the left earcup of the headset. By default, the three G-Keys are assigned to: surround sound on/off; profile switch; and RGB brightness. However, you can use the software to switch the functionality to anything of your choosing. G Hub also offers a bunch of pre-made assignments. In truth, I never played with these all that much, since fiddling with buttons on earcups that you cannot see is not intuitive at all. It may be a nice thing to have, but I feel that Logitech could have made the headset thinner and lighter by excluding the buttons. Below the G-Keys, you can find a mute button and a volume rocker. While the volume rocker is an exceptional addition that I also loved on the other headsets I recently reviewed, I feel like the mute button is redundant. Especially when you consider that the boom mic built into the headset has its own “lift to mute” feature. This leads me to believe that the mute button is simply just another result of Logitech reusing past designs. Whatever the case may be, I feel that if they had cut the mute button completely, they would have saved on space and weight. Fortunately, the mic mentioned above is not an eyesore. In fact, when not in use, the mic sits inside the earcup. Basically making it look like there is no mic. This is especially great, considering mics often get in the way when not in use. In terms of mic audio quality, it leaves a lot to be desired. I gave both the Logitech G332 and G432 a pass on mic quality since those are headsets that cost as much, or even cheaper, than most premium gaming headsets on the market. The Logitech G935, however, has no excuse to sound exactly like the Artemis Spectrum did in 2015. While the pop filter is great, the overall mic quality is nothing compared to my dedicated mic (which I bought on the cheap, no less). It looks great, but sounds disappointing for a headset that costs upwards of R2 500, if not more. In conclusion, I cannot fault the headset for its overall performance. It looks great, albeit a little bit big, and delivers superb audio quality, both in stereo and surround sound. I do think that the mic is the headset’s failing aspect and that the buttons are all redundant. However, that does not take away from the amount of enjoyment I got out of the headset. The battery could also do with a bit of an upgrade. Six to seven hours is simply not enough to make me go “wow”, and that is what I want in a premium headset. In a way, the Logitech G935 is a big old brute. It is the biggest, baddest boy on the block, and it knows it. No one is going to walk up to it and face off with it, because they simply cannot. However, there are a lot of competitors in town. Some of which are leaner-looking with a lot more energy to keep them going, but boy can this big boy sing beautifully. The overall performance of the Logitech G935 is fantastic. It looks great, albeit a little bit big, and delivers superb audio quality, both in stereo and surround sound. Sadly, the mic is the headset’s biggest failing and it also has a series of redundant buttons. However, the headset is a pleasure to use and offers some of the best audio in the gaming headset market.